Ron's Equipment sells and services tractors and construction equipment, plus attachments and implements. It's a competitive market, and this site is a replacement site for Ron's former site, which was not performing they way they had hoped. 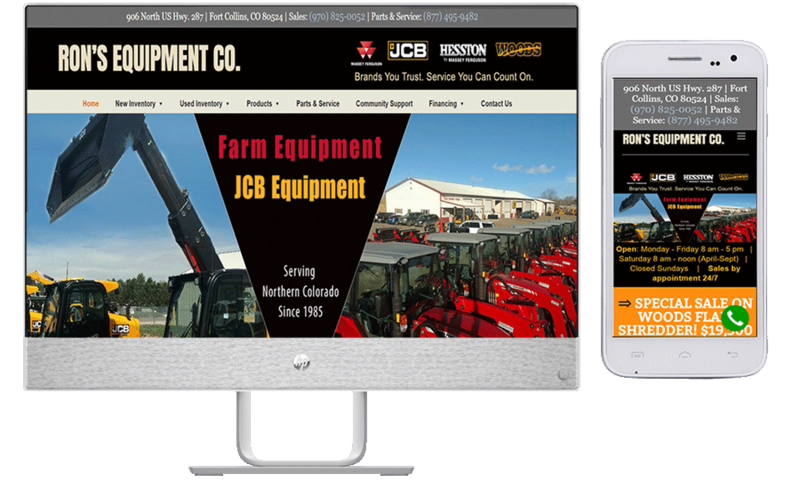 They needed a website that clearly explained who they were as a company and showed their inventory to its best advantage. Our job, now that the site is built, is to maintain the inventory pages, and keep everything up to date. We constantly monitor and update SEO efforts every month, and we also manage Ron's AdWord campaigns. In 2018 (not long after we built their site) Ron's tell us that the lead are great: local and qualified. And the 2018 April and May gross sales were up 40% compared to the year before. And, yeah, we love to hear that!